The Supreme Court of Pakistan has finally issued a statement regarding the fake order being circulated on the social media about the Price Hike Case against the automobile industry in Pakistan. Automark confirmed from Public Relation Officer SC. As per the clarification letter, Supreme Court said it has not issued any order or judgment containing number Crl.O.P. NO.2158 of 2018 regarding lowering tax rates on locally-assembled vehicles. Neither did, the SC asked Finance minister and FBR to reduce taxes from 33% to 25%. 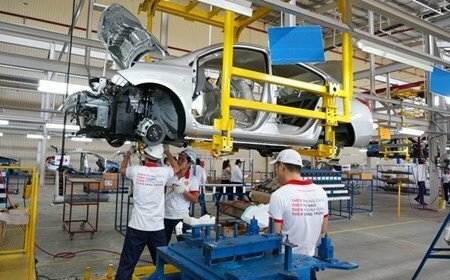 Therefore, yesterday the news published in one of the leading newspaper that the SC directed the Ministry of Finance and the Federal Board of Revenue (FBR) to reduce taxes imposed on locally-assembled vehicles is false and fake. It is therefore clarified that the news is totally false and baseless as the SC has not passed such notice. The Supreme Court also has taken serious notice against those who are spreading fake and false stories. 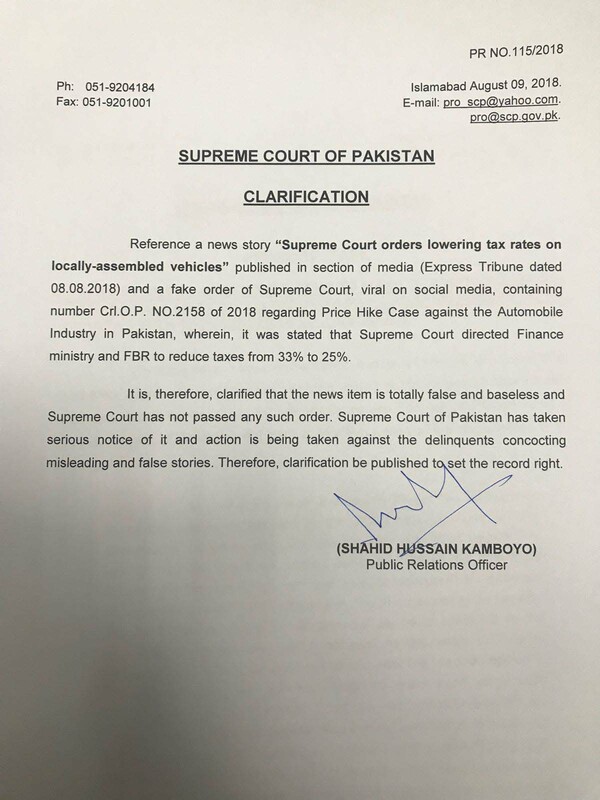 On earlier, according to our sources and auto industry, there is no such statement and order issued by the Supreme Court as the document is only being circulated on the social media and it is fake. One leading newspaper has also published a news about this notification that the SC directed the Ministry of Finance and the Federal Board of Revenue (FBR) to reduce taxes imposed on locally-assembled vehicles from 33% to 25%. Automark reached out to the industry representatives but they were are also not aware of the situation and about this notification.